Soothing, refreshing ear cream relieves and prevents itching and skin irritation resulting from extended wear of hearing aids. 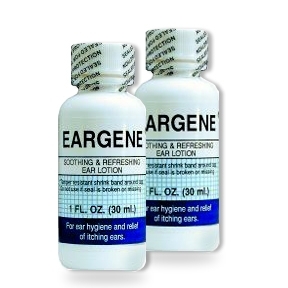 Eargene leaves a thin protective film of cooling, soothing lotion. Apply twice daily and your ears will feel clean, cool and refreshed. Eargene is a delicately balanced formula of soothing, cleansing ingredients prepared especially for the tender area occupied by ITE (in-th-ear) hearing aids and earmolds. Tested and proven for over 35 years.